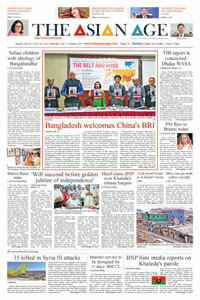 The Bangladesh minority leaders, academics, international bodies including the United Nations, and the U S State Department, together with the national and international human rights organizations, are extremely worried regarding ineffectual security, a culture of impunity and government apathy to the minorities in Bangladesh. In 2017 the United States Commission on International Religious Freedom report documented violence against religious minorities in 37 countries, including Bangladesh showed that violence against minorities in Bangladesh was on the rise. Since 1947, after the partition of India, Bangladeshi minority communities have suffered and that has dropped their population from 23% in 1951 to 9% in 2017. The rate of minority population decrease has accelerated in recent years, and several districts of Bangladesh are now witnessing the decrease of their Hindu population in absolute numbers, reports say. Due to the trends of sheltering political and extremist elements and its appeasement by the government, there is a possibility that Bangladesh may turn into a monolithic Islamic country, Bangladesh human rights activists sayUnder the pressure from Hefazat-i-Islam and Awami League's Islamic wing, the authority is systematically removing texts by renowned non-Muslim and Muslim authors from the school curriculum. The Peace Accord in Chattogram Hill Tracts that was signed at the instance of the Prime Minister Sheikh Hasina in 1997 has not been implemented according to the peace deal. The indigenous people of the Hill Tracts who comprised a majority of the population before 1947 are now a minority in their own land due to the forcible occupation of new settlers and acts of violence there, the indigenous leaders said. An eminent economist and researcher Dr. Abul Barakat who is also a Professor of Dhaka University has said that from 1964 to 2013, around 11.3 million Hindus left Bangladesh due to discrimination which means on an average 632 Hindus left the country every day and 230,612 annually. Former Chairman of National Human Rights Commission and Professor in Dhaka University Dr. Mizanur Rahman has said, " No Hindus will be left after 25 years in Bangladesh due to insecure environment for them". Under these circumstances, scholars, academics, international rights bodies and Hindu leaders have urged the government to create Minority Welfare Ministry, Minority Protection Act, to implement the recommendations of Shahbuddin Commission with a view to preventing all forms sectarianism, religious and ethnic terrorism.